Games—whether it’s the act of making one, or the thought of playing one—can be overwhelming. It’s impossible to play them all. I’ve tried a few times to make my own games, but the thought of writing code or drawing art stops me before I’ve begun. I’ve created a few projects with simple game-creation tools such as Twine and Ren’py, and while I’ve found varying degrees of success with those programs, none have ever felt like exactly what I needed. Then, at the end of 2017, I stumbled across Bitsy. Created by Adam Le Doux, Bitsy is a browser tool used for making small, narrative games. It’s incredibly easy to use; in fact, the tool provides you with a lot of basic items, such as wall tiles and character sprites, just to get started on a small game. Since it came out about a year, Bitsy has become a useful tool for creating emotional and exciting games. I decided to try my hand at making a game with the platform and found that it is perhaps the easiest I’ve ever used. Its easy interface encourages me to explore and see what I can come up with when provided with a small toolset. Tons of platforms have been created to help increase game development’s accessibility, and Bitsy is an important step in making games both more accessible and more intimate. Below is a small list of Bitsy games that I found to be inspirational, emotional and fun. I spoke to the artists behind these games, and asked them what about Bitsy inspired them to work on their projects. Their answers share an appreciation for Bitsy’s limitations. For some, restraint provides them an opportunity to experiment with ideas without having to commit a large amount of time on creating an idea. For others, it means creating a certain mood in a game without being bogged down by other things traditionally found in games like enemies or weapons. Diplomat Simulator by William Holly does a great job of showing how important walking can be. Players control a presidential messenger who is in charge of relaying notes back and forth between two leaders in neighboring countries. It’s a tug of war between the two leaders, with the player stuck in the middle. The messenger walks back and both between countries, but so much happens between each step. Suddenly walking doesn’t feel quite as mundane as it usual does. I’ve played the game multiple times just to see how the environment changes whenever a new message is delivered. Created for the My First Game Jam: Winter 2018 event, It Weighs You Down by Katlynn is about taking the time and energy needed to recover from a traumatic event. Players climb out of a dark space, placing bad memories into collection plates and talking to Sisters who encourage and support your ascent. It’s a beautifully sad and powerful game that feels like taking a long exhale after holding your breath. I’ve thought about It Weighs You Down many times since playing it. “I like Bitsy because of its accessibility,” Katlynn says. “It runs in-browser so you don’t need fancy hardware or tons of programming knowledge to make something fun, just the patience and willingness to play around! “I’m one of those people who believe that A) keeping art and the tools to make it available to as many people as possible is vital for society, and B) some of the best art is created through pushing the limits of your medium, and Bitsy just so happens to be a great intersection of those beliefs. Realm of the Dread Sorceress is such a huge Bitsy game that it needs to load before it can start, which is pretty rare for such small games. Made by Ben Bruce, Realm of the Dread Sorceress is all about discovery and exploration. There are plenty of secrets to find and people to talk to. Because Bitsy relies so heavily on storytelling, games made with the tool tend to have some really wonderful writing, and Realm of the Dread Sorceress is no exception. This is a game I love to look at, walk around in, and maybe collect a few things along the way. “What I love about Bitsy is its limitations,” Bruce says. “I think one of the biggest issues for hobby-devs is scope—and no matter how many times people advise you to keep things small, it’s so easy to get carried away. And so you find yourself trying to make your No Man’s Sky meets Skyrim meets GTA V game as a one person team, and somehow failing to finish it! “Bitsy forces you to keep your scope small and deliverable—it’s usually obvious if something is do-able or not, and there’s no stigma in delivering a game that’s only 30 seconds long. “Bitsy also makes it easy to make your game in tiny chunks, which is great for people who are time-poor. If you only have 5 minutes to spare, that’s still time to make a 8 × 8 sprite. You don’t have to set aside a week to learn what a bloody quaternion is. A Moth Argent by Sarah Gould is beautifully sparse. As the description says, the game is about “Moths, dreams, mysteries, and darkness.” The game really shows off the beauty of little white pixels and simple animation. Something about the ways the trees sway and the moths flutter feels incredibly ephemeral. I never wanted to progress in the game because I wanted everything to stay as I left it. I wanted the moths to flutter, I wanted to stay in its twilight, but I couldn’t. A Moth Argent feels like a poem, with lines hidden with each moth. 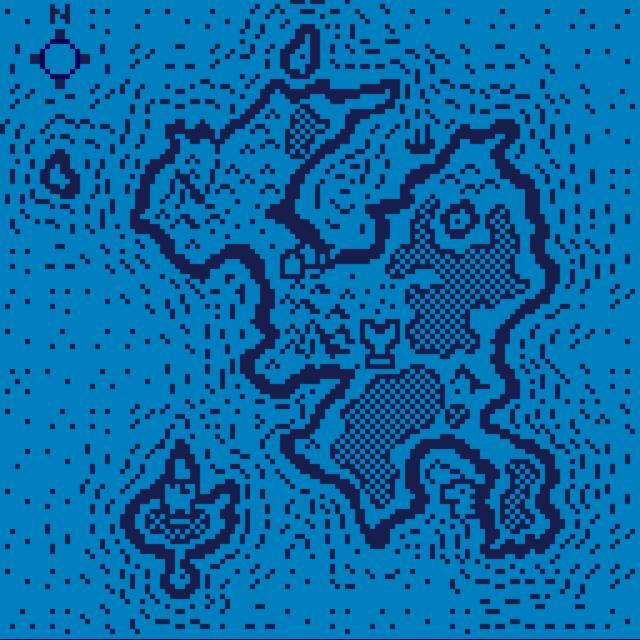 “What I love about Bitsy is its simplicity and the way its constraints encourage thoughtful, atmospheric pieces,” Gould says. “It doesn’t have a way to incorporate action or timing, and game logic is limited to the places you choose to explore and (in newer versions) the objects you choose to pick up. Most of the Bitsy games I’ve played are essentially poems in game form. They’re like small ‘walking simulators’ that are focused on how the player processes the game world rather than how the player affects the game world. “Most of my other (non-Bitsy) games are pretty melancholic and contemplative. I’ve made two platformers, for example, that have involved no enemies, no power-ups, no failure states, and no triumphant end-game. When I sit down to make a game, I just want to evoke a mood or tell a story. Bitsy lets me cut straight to the chase. “I created A Moth Argent for a Bitsy game jam, those lovely monthly blossomings of tiny games. The theme was—wait for it—moths. I’d been feeling depressed and lethargic, and sad that I didn’t have the time or energy to work on games. But one Saturday morning, feeling inspired by the prospect of pixelated moths, I picked up a Bitsy and started playing around with it. I didn’t plan anything in advance, I just sort of discovered the game as I went along. It was lovely! When I finished my own game, I felt a massive amount of excitement. For the first time, I was sad to see the project complete. I had never seen a game idea come to fruition so quickly. Within a few days, I created and completed an idea that would usually take me months just to find the courage to attempt. 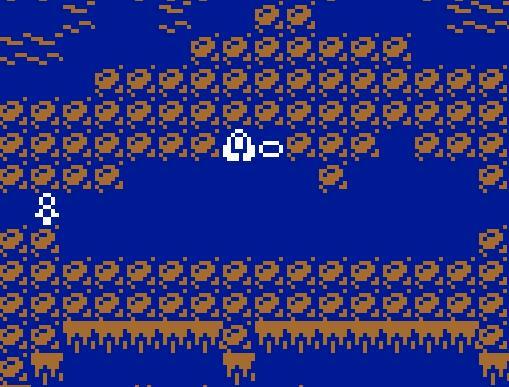 Maybe others have felt that sense of pride through other platforms, but for me, Bitsy is a step into gaming wilderness I’ve been too intimidated to explore. The Bitsy community is young but ever-growing, and that group has created a massive amount of games that show how restriction can help flourish creativity. There will always be games that take hundreds of hours to complete, with seemingly unlimited abilities at the player’s disposal, but lately I’ve found the most wonder in the games that take mere minutes, the ones that can seamlessly stuff entire worlds into an 8 × 8 pixel grid. Shonté Daniels is a poet who occasionally writes about games. Her games writing has appeared in Kill Screen, Motherboard, Waypoint and elsewhere. Her poetry can be seen at Puerto del Sol, Baltimore Review, Phoebe, and others literary journals. Check out Shonte-Daniels.com a full archive, or follow her for sporadic tweeting.